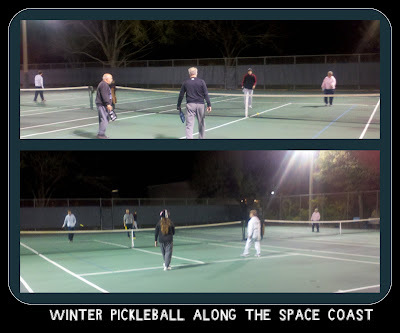 The cold of winter doesn't stop pickleball players from taking to the courts!. Last week the cold weather moved through Georgia. Recently the temperatures in Florida reached well below freezing. pictures of his group playing at their newest facility. 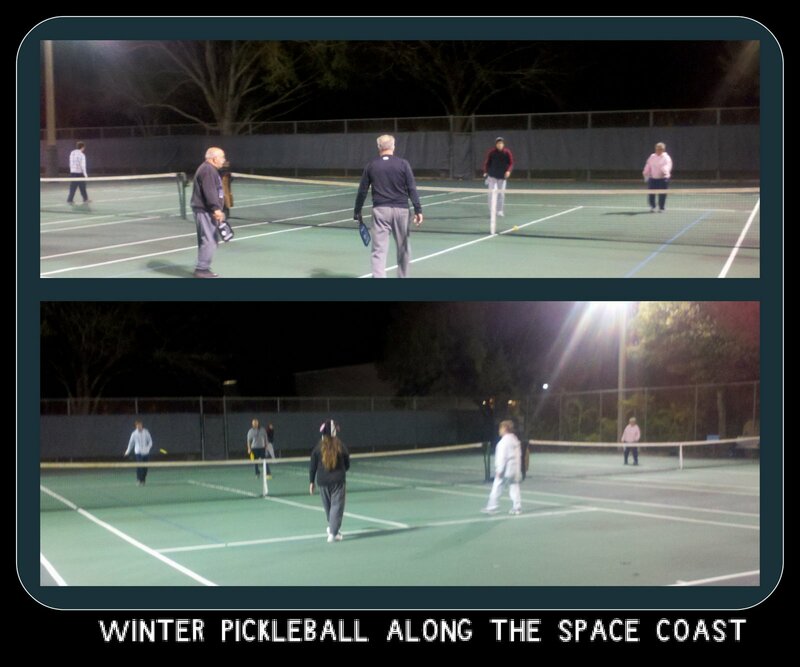 "Things are rocking on the Space Coast, we currently have 70 people that are playing Pickleball on the Space Coast. Our newest venue is our first outdoor facility. The City of West Melbourne has welcomed this new game and we are now utilizing the tennis courts at the Veterans Memorial Facility in West Melbourne. Attached are some pics of the play on the coldest night this season. We are also scheduling a series beginners clinics to begin this month at all of the host facilities."